Bottled water: Better than tap? Kiwi Blue Still Spring Water “emerges so pure it is crystal clear”, SpringFresh’s “natural artesian water begins its life as rainfall on the Southern Alps”, and Countdown New Zealand Spring Water is “sourced from pristine springs across New Zealand”. You’d be forgiven for thinking bottled water marketers all come from the same well, with 19 of the 22 bottles in our test having the words “pure”, “natural” or “pristine” splashed on the label. Bottled water shows just how powerful marketing can be, according to Professor Janet Hoek, from the University of Otago’s departments of public health and marketing. “The industry has successfully persuaded people to pay a premium for a product they can get for free,” she said. Last year, we spent more than $92 million on bottled water in supermarkets, an increase of $23 million in three years, according to Nielsen scantrack data. 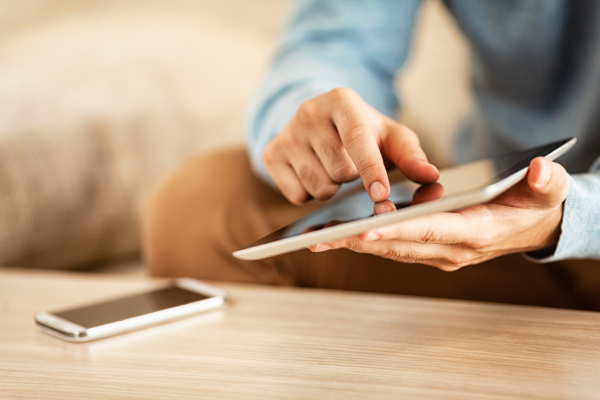 In 2015 and 2016 dollar sales increased by more than 20% each year. So if you’re paying up to 2600 times more for bottled water than tap, what are you getting for your money? Descriptions such as O Pure’s “epic journey of movement and time”, and Kiwi Blue’s “natural filtration process lasting up to fifty years” also imply bottled water is better than tap. Studies have shown this type of language and terms such as “natural” and “pristine” shape people’s behaviour and help create favourable perceptions about a product. But as Professor Hoek points out, these terms have no scientific basis and don’t have to meet any standard. “These claims are puffery or harmless exaggeration, but although essentially meaningless, they can still affect what people buy,” she said. So if you’re paying up to 2600 times more for bottled water than tap, what are you getting for your money? We tested 22 bottles ranging in price from 53¢ to $5.32 per litre and compared the results with Auckland and Wellington tap water. If bottled water comes from a spring, rather than a tap, it will almost always have less fluoride. New Zealand spring water normally has about 0.1mg per litre and fluoridated tap water 0.6 to 1mg per litre (the Wellington tap sample we tested was low compared with the average over time). All the bottles in our test claiming to be spring or mineral water had the low fluoride levels you’d expect. Pure Drop Triple Filtered NZ Water had fluoride levels consistent with tap water. It states on the label its “non-spring” water and it contains fluoride, but Coca-Cola (the company that sells this water) didn’t respond to our question about where it comes from. Chloride (not to be confused with chlorine, which is added to drinking water to disinfect it) is naturally occurring, so levels depend on the source. Twelve bottles had lower chloride levels than our tap samples, nine samples had higher. Mineral waters tend to have higher levels of total dissolved solids. The sparkling mineral waters in our test – S.Pellegrino, Santa Vittoria and Perrier had the highest levels. A pH of seven is neutral; the lower the pH, the more acidic the water. The still waters in our test ranged from 6.2 to 8.1. B-Well and OnePure claim to be alkaline but with a pH of 7.9 neither stood out as being much different than the other still waters in our test. However, it’s a different story for the sparkling waters we tested. Perrier, S.Pellegrino, Santa Vittoria and SpringFresh had a pH of 5.5 or lower, which increases the risk of dental erosion. Dr Deepa Hughes, New Zealand Dental Association oral health promotion manager, said sparkling waters should only be drunk occasionally due to their acidic nature. Some companies are all too happy to spruik where their water comes from. For example, Tongariro Natural Spring Water is “bottled at source in national park” and Water for Everyone is bottled at the “pristine source” of Kauri Springs. However, not all companies are upfront about where their water comes from. We asked companies that didn’t state the source on the packaging to come clean. The bottlers of Charlie’s (Independent Liquor NZ) and Pams (Foodstuffs) confirmed their water came from a New Zealand source but wouldn’t tell us the location. Countdown said its water came from various sources in New Zealand but the information was commercially sensitive. Pure Drop (bottled by Coca-Cola Amatil) and Pure Dew didn’t respond to our inquiries. B-Well and OnePure are marketed as alkaline waters and their websites boasted about the health benefits you’ll reap from drinking them. 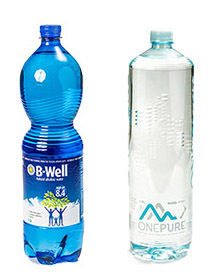 B-Well and One Pure are marketed as alkaline waters and their websites boasted about their products' health benefits. The B-Well website claimed drinking high pH water can relieve or reduce premature aging, sickness and disease, and over time high alkaline water has the ability to dissolve acid-formed matter such as kidney stones and gallstones. OnePure claimed alkaline water can reduce acid reflux, reduce fatigue, protect bones, and support the immune system. It also claimed you can “detoxify your body with OnePure water”. Nutrition and health claims are regulated by the Food Standards Code and, if a claim isn’t pre-approved, companies must be able to substantiate it through a systematic review of scientific evidence, which must be notified to Food Standards Australia New Zealand (FSANZ). No claims for alkaline water have been notified to FSANZ so we asked the companies for their evidence. Siena Foods – the distributor of B-Well said “those website claims are quite old and we have since had them removed”. OnePure said its claims are based on “expert advice that we have obtained from various parties” and sent us a report from a water treatment company. The report didn’t reference any published papers backing up its claims. It also sent us links to a few published articles. However, none of the studies were done using OnePure water and two studies used water with a higher pH than the sample we tested. As far as detoxing goes, there’s no need to drink alkaline water to do this – your body is continuously detoxing on its own. Your gut and liver break down unwanted and potentially damaging compounds, which the kidneys eliminate. Despite the pure and natural vibes on the packaging, there’s not much “green” about bottled water. US-based consultancy company The Pacific Institute estimated it took 3L of water to produce 1L of bottled water. It also calculated it took the equivalent of about 17 million barrels of oil to produce the bottled water consumed by Americans in 2006 – enough energy to fuel more than a million cars. Then there’s moving the water. It’s a long way from the Tuscan Alps, but even locally sourced water has to be transported to a bottling plant and warehouse before it reaches your supermarket’s chiller. The bottles themselves are another environmental problem. Most bottled water is sold in PET (polyethylene terephthalate) plastic bottles. According to the Packaging Forum, the industry group responsible for packaging recycling programmes, nearly 14,000 tonnes of PET plastic were used to produce drinks containers in New Zealand last year. PET can be recycled, but it’s estimated only half of it is – the rest ends up in the landfill or our rivers and streams. Another concern is the tiny plastic particles (microplastics) from the bottles. In 2017, Orb Media (a US non-profit media company) commissioned testing on 259 bottled waters. It found 93% of samples had microplastics in them. As a result of the study, the World Health Organization will review the potential health problems that could arise from drinking microplastics. We weren’t able to test for microplastic contamination, because we couldn’t find a local lab able to do this testing. Bottled water is regulated under the Australia New Zealand Food Standards Code. The New Zealand Beverage Council (an industry group) also expects its members to comply with the Australian Bottled Water Institute’s Code, which has standards for the safe processing of water and requires annual testing. However, joining the council is voluntary. About half the brands in our test are sold by companies that belong to the council. Drinking water is monitored by the Ministry of Health against New Zealand Drinking Water Standards. Water NZ technical manager Noel Roberts said monitored drinking water supplies are regularly tested for bacteria, protozoa and chemical contaminants to ensure safety. The latest Annual Report on Drinking Water Quality (2016/17), which looked at 661 registered supplies, found 81% of monitored supplies met all the requirements and 96% met the bacterial standards, which are the most important for ensuring people don’t get sick. Mr Roberts said there is sometimes the chance of contamination during reticulation. “Adding chlorine to the water supply ensures it’s safe to drink for the consumer,” he said. The 2016 Havelock North gastro outbreak, where more than 5000 people fell ill and four died, undermined the public’s trust in tap water. The outbreak led to a government inquiry that made 51 recommendations to improve the safety of our drinking water. The main points were that all water supplies should be treated, a drinking water regulator should be established, and compliance with the standards should be mandatory. In July, the government announced it was amending the law so changes to the drinking water standards could be implemented faster. Spring water and mineral water must come from underground. They contain soluble matter, which is mostly dissolved minerals. The ground acts as a filter so helps keep the water free from contamination (although it can become contaminated). These waters aren’t always untreated and unless the bottle says “bottled at source” it’s probably been transported to a bottling plant in a bulk container. Spring waters can be filtered, UV treated or chemically disinfected. Artesian water is spring or mineral water, but it’s confined under pressure. When the water source is tapped, the water flows to the surface. Purified or distilled water has undergone a process that removes almost everything in it, including minerals and bacteria. Alkaline water has a higher pH than tap water (the tap waters in our test were on average 7.6). This means it’s less acidic. Sparkling water has carbon dioxide added to it to make it fizzy. The carbon dioxide makes the water acidic. Don’t be sweet-talked into thinking bottled water is any better for you than tap water. Buying bottled water isn’t good for the environment. If you want water on the go, buy a reusable bottle and fill it from the tap. If you like your water cold, get an insulated drink bottle and top it up with water kept in the fridge. We sent four sparkling and 18 still bottled waters to an independent lab to check pH, fluoride, chloride and total dissolved solids levels. We also tested samples of Auckland and Wellington tap water. The Wellington tap water sample was lower in fluoride than expected. Wellington Water said fluoride levels can change due to interruptions in dosing, so the levels picked up by one sample could be low compared with the average over time. GUIDE TO THE TABLE BOTTLED WATERS are listed within groups in alphabetical order. PRICE PER LITRE is based on the price we paid and the sample size we tested. TEST RESULTS TDS = total dissolved solids. PACKAGING na = not applicable. Water filter jugs: Do they work?